He’s the Jimi Hendrix of the Hammond Organ, a player who can pump, pamper and occasionally pound the most unbelievable sounds from a keyboard: sounds that are intense, ferocious and sometimes transcendent. Lachy Doley’s keyboard has powered acts as diverse as Bernard Fanning, Jimmy Barnes, Powderfinger, The Beautiful Girls, Jimmy Little, and The Widowbirds. 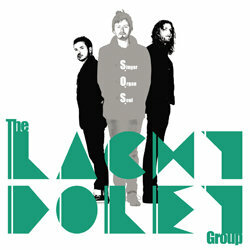 Now he has a second album with his own band – the Lachy Doley Group. “Singer Organ Soul” is a tasty slice of what the band sounds like live – pumping with energy and good times, and featuring both Lachy’s 1957 Hammond C3 organ and his custom-modified Hohner Whammy Clavinet – the only such machine in the country. With the release of “Singer Organ Soul”, he will embark on a thirteen date national tour. Earlier in 2013, Lachy was headhunted by Deep Purple’s Glenn Hughes to record a new version of “Highway Star” – a project designed as a tribute to Deep Purple’s legendary organ player Jon Lord who died last year. Alongside Lachy, the recording featured Glenn Hughes, Steve Vai and Red Hot Chilli Peppers drummer, Chad Smith. More recently he proved the hit of this year’s “Blues on Broadbeach Festival” in Queensland.